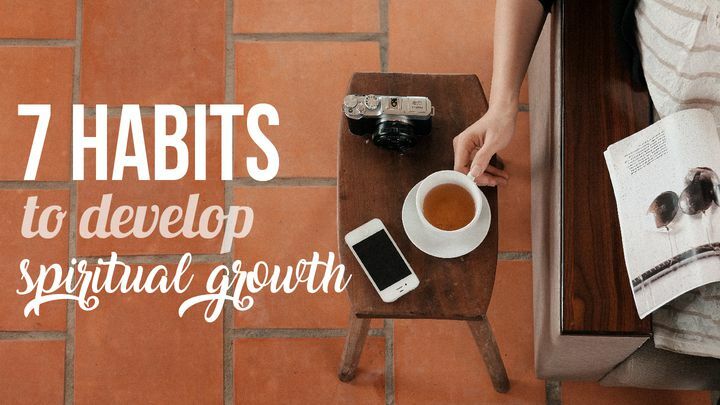 7 Habits To Develop Spiritual Growth - We all have our little morning habits. We could also call them routines, the first things we do in the morning. Throughout these seven days, I’d like to propose a series about these first moments, these first actions, these first thoughts of our days. We will discover how we can create habits to develop our spiritual growth. We all have our little morning habits. We could also call them routines, the first things we do in the morning. Throughout these seven days, I’d like to propose a series about these first moments, these first actions, these first thoughts of our days. We will discover how we can create habits to develop our spiritual growth.